The playoffs continue tomorrow and if you are looking for a dip to serve at your party (or just to munch on while you are watching the games), look no further than my Buffalo Chicken Dip recipe! 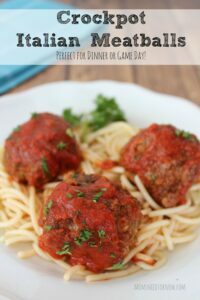 These crockpot Italian meatballs can be made ahead and would be a great addition to your party spread! You can adjust the hot sauce to your liking – I usually make it with more hot sauce than I have listed (I usually use about 3/4 cup when I am making it for my husband and his friends), but that is because my husband seems to have a fire-proof stomach and likes it extra hot. I haven't been able to tolerate hot sauce since I was pregnant with my second child. 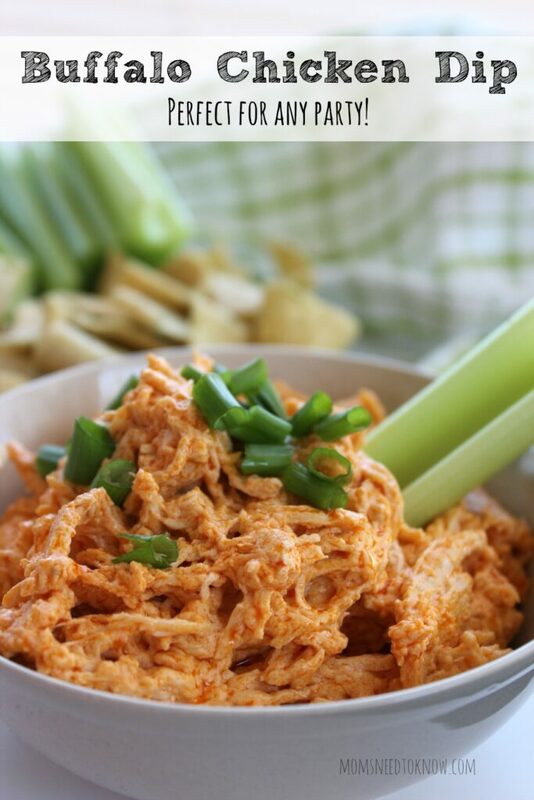 But one thing that I can tolerate is wasabi – and if you are in to spicy foods, increase the hot sauce in this recipe AND serve it along with my wasabi dip (I pretty much use any excuse to make that recipe)! For the best results, use my homemade blue cheese dressing recipe (it's just an extra step to make the dressing – and then you can have some left over for dipping), although I have used bottled dressing in the past.